......................................................WHAT WILL WE LEAVE THEM WITH? ...................................... WILL IT BE AN EMPTY VOID, IN THEIR HEART? As Americans we must take the responsibility for the problems our country is reaping today. We have no one to blame but ourselves and that includes the Christian and religous sector. As the darkness increases many will awaken, cry out for help, and turn back to God, the one hope for all men and women. For those of us that belong to the family of God, our call is to partner with our Lord and Savior dwelling within us to aggressively challenge the kingdom of this world, turning the wrong upside down through His life changing love. When the One that the Bible calls the 'light of the world' enters the picture, He exposes the darkness, shakes the garbage out, and replaces the void with hope and life eternal. Our role; our responsibility; our race; is to simply believe and run with, as we relate with, Jesus Christ. As He takes our hand to lead us, we become an extension of His heart and hands to deliver, heal, and restore through proclaiming in action, the Good News. OPEN SKY UNLIMITED is a non profit religious corporation organized in Nebraska in January 2011. We were formed as an independent Christian Outreach with the intent to cooperate with a variety of Christian Churches, ministries, and organizations to engage in Christian preaching, teaching, training, Christian program development, as well as pre-evangelistic, evangelistic, social and humanitarian outreach. On August 27, 2011 Open Sky Unlimited, Inc. was granted 501(c)(3) status. Our core values and beliefs are based on Jesus Christ as the cornerstone of faith and the only way and means that man can be saved from eternal destruction, based on Acts 4:8-11. Our primary mission focus is to gain the attention of, identify with, and relate to the spiritually disconnected individual. This includes but is not limited to people groups including the over-the-road truck driver and the America Cowboy.as well as a broad range of equine enthusiast from the race track to the arena. Paul said in 1 Corinthians 9:22, 'I become all things to all men that I may by all means save some'. Our introductory statement; a fore runner message to the Gospel of Jesus Christ is, 'turning the hearts of the fathers to the children and the children to the fathers'. As we responsibly steward the delivery of this word, we hope that God will “prick the heart” much like he used John the Baptist’s message, to prepare for the way of Jesus Christ into the life of the resistant individual. See Luke 1:17. We intend to present this message through the initiation, expansion, and development of a "turning hearts project" with the hope, intent, and prayer to “turn the heart our nation” by gaining the attention and impacting the itinerant individual, as he/she passes through our state. Our primary target group is the over-the-road truck driver that travels the I-80 corridor across Nebraska and beyond. Our secondary mission focus is to preach, teach, and practice living out 'the hope of life - Jesus Christ within us', in local churches, cowboy churches, to equine and horse racing enthusiasts, and anyone else we might come in contact with, daily. We reach to love, to catch, to deliver hope, healing, and purpose. We reach to effect ‘want to’ instead of ‘have to’ to those that are alienated from God. We reach as ambassadors of our loving Father to the prodigal. Wrapped in the warmth of the western way, flavored with a touch of cowboy, and seasoned with a special appreciation for God’s magnificent creature, ‘the horse’, best describes us. Millions of children in America suffer from the affects of fatherlessness. With more than 30% of children living absent their biological father, statistics show that many of the children in our country are more likely to use drugs, to experience emotional and behavioral problems, and to engage in criminal activities. Our Heavenly Father exhibited His passion and desire to restore every man, woman, and child through the sacrificial gift of His Son on the cross. Our passion is what our Fathers passion is; It is restoration. I was horse crazy from the earliest time I can remember. My dad, although not a horseman, recognized my passion, and when I was 5 years old, purchased a Shetland pony for me to ride. 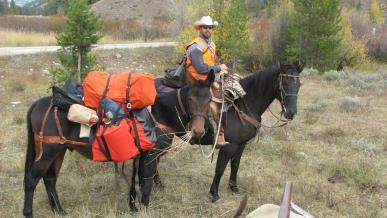 This empowered me to begin to live my passion and desire to be a cowboy. As I grew up, it remained a valuable part of my life and even my identity. As a youth and teenager I began to compete in 4H, and later on, in the American Quarter Horse Association on a state, and national level. My teenage years consisted of working with horses and cattle, and in my fathers farming operation. There were the normal challenges and temptations as a teenager - drinking, girls, and typical scraps that young people engage in. I had a wonderful family which consisted of a great mom and dad, three younger sisters, Darcy, Daphny, and Lisa, two full sets of grandparents that I admired, good friends, and more than enough money. Even with all of that my life began to unravel in my late teens. As depression set in, social drinking became a way to mask the pain as my personally abusive use of alcohol, accelerated. I had been raised in a traditional Church, but God had not been a visible factor in the day to day life of our family. It wasn't that we didn't believe in God and Jesus because we did. We were taught to pray before bedtime and over our meals before we ate, but my dad didn't model a personal relationship with Jesus, as the number one priority in life, until the last years of his life. I have come to believe that the role of spiritual leader in the family is the most important responsibility that a man and a father has. The man - the father prophetically speaks into the future and destiny of his children and grandchildren. Without taking away any of the importance of mothers, God intended men and fathers to be the beacon light that paves the way for those that follow forward, into eternity. When I was about 13 years old we left the traditional church I had grown up in due to a negative exchange between my dad and the pastor. After that we pretty much stopped going to church. Even though we stopped going to church there had been enough seeds planted in me as a child about Jesus, that I believed in God. One particularly emotionaly dark night of my life, I decided to leave town, running to get away from the heaviness, and pain that was crushing me. The farther I drove the worse it got. Thoughts of taking my own life began to overtake my thinking. In desperation I turned to the Lord that I believed in, but did not know. Believing in Him and knowing Him, is not the same. In that incredibly dark hour, in a blink of an eye, a veil of blindness was removed, and I began knowing that He is real. That’s the only way I can explain it. I went from believing in God to knowing him - instantly. I returned home early in the morning to find my dad already in the field. Of course he thought that I had flipped which was pretty easy to understand when I told him, "I'm alright and God is real". God had not been much of a priority to me, before. Now, I'm proclaiming to him that I'm okay because God is real. What would most parents think? I found out later that there were others in my family, including my mom that had been praying for me. After announcing my discovery of God to my dad, I proceeded to town to tell my unbelieving friends as well. That was the beginning of my walk with Christ. I started to read the Bible to discover more about the God that I now knew was real. As I did, I began to question my purpose in life. About a year after I had become a knowing believer, I sensed a call on my life to go into the ministry. As a knowing believer, most of my spiritual growth came from personal Bible study and Christian television and radio. The PTL Club and the 700 Club where available in our area. and they had become a lifeline of spiritual information and food for me. Still, when I sensed a call on my life, I backtracked to the traditional Church that I had grown up in, and ended up enrolling in a lay ministry program in a large city far away from the rural life of western Nebraska. I couldn’t really see myself as one of those guys in a collar and a robe, so the lay ministry program afforded me another way to go. I only attended for one semester due to tension in my heart over doctrinal issues that would restrain fellowship with other believers, rather than expand it. My understanding of what I read in the Bible didn’t quite fit into the framework of that particular Christian religious flavouring, so I returned to Nebraska. I had been involved in farming with my dad, so I still had some cattle, a truck and a combine with which I did some custom work. When I returned from Milwaukee, I was a little disillusioned, and wasn’t sure how to pursue the ministry calling on my life. Even though I had always had horses, and had been fascinated with pedigrees and bloodlines, I had never been involved in the breeding of them. 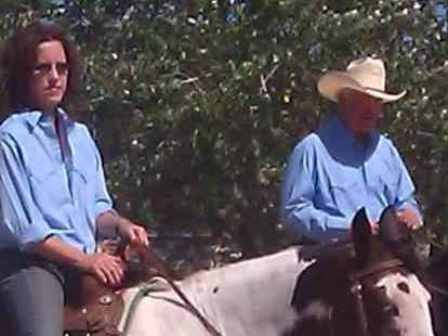 In 1976, I began purchasing Quarter Horse breeding stock, and eventually decided to disperse all my cattle and equipment, and to put it all into breeding Quarter Horses. 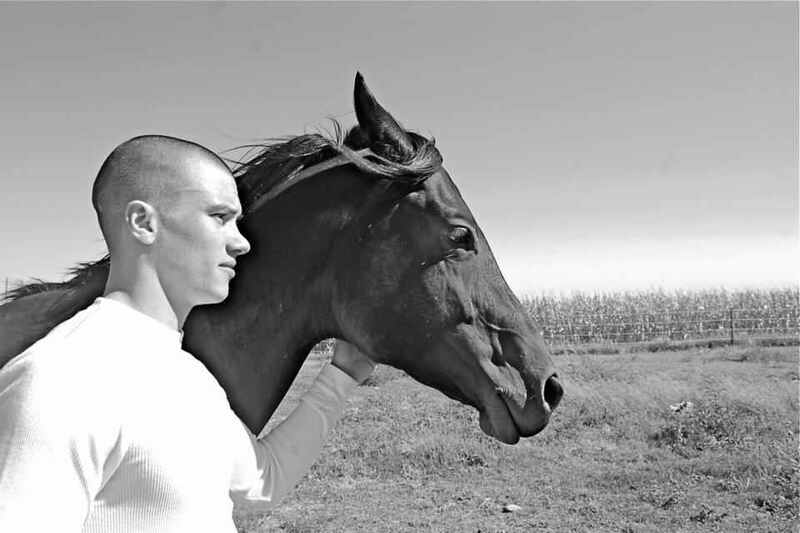 For seven years I lived my childhood dream - buying, breeding, and marketing some really nice horses. During that period, we leased or owned in part, or fully, 11 different quarter horse or thoroughbred stallions, and at the peak of it, handled about sixty mares a year. I met a lot of fun and interesting people during this time. Many are still good friends today. • two sons and a daughter; Chance, Jessica, and Martin came into our life. • Became a pastor of a small church. • Faced the breakup of my marriage and experienced the pain of divorce, including separation from my children. • Resigned from pastoring, because I felt a failure as a dad and as a pastor. • Went to work in Corporate America, and was employed for 16 years by two different companies. • Lived in a spiritual wilderness for more that seven years of those 16 years. • Began to walk out restoration in my spiritual life - beginning in 2003. • Was selected to be a board member of a church that served more than 600 participants weekly. • Married a beautiful woman, Cindy, in 2007, and became step-father to a daughter and two sons, Megan, Zack, & Cameron. • I Purchased my first horse in 25 years, and Cindy's first ever, in 2008. She was a quarter horse mare, named She Loves To Talk. 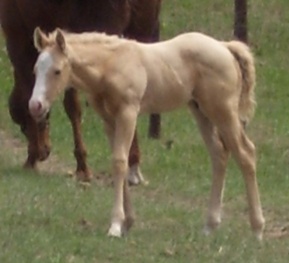 She had a successful career on the track, and was carrying a foal to be born in 2009. That foal is now a four year old stallion, and the current equine ambassador featured on our billboard and web sites. In the last four years, from 2008 to October 2012, we’ve seen our youngest sons graduate from high school, our daughter, Jessica, get married and graduate from college, and we’ve become grandparents of one beautiful granddaughter, Clair. In addition, Cindy and I have founded a Christian ministry called Open Sky Unlimited, and the Fast Horses Project, sold our house in Gothenburg, purchased a place west of Farnam, and now have close to 20 head of horses. In 2012 I left corporate America to pursue the development of the ministry and to invest more time in our Equine Business..